The third FORBES WOMAN AFRICA Leading Women Summit powered by MTN Business welcomes notable 2018 speakers Advocate Thuli Madonsela, Dr Rolene Strauss and Vivian Onano to the line-up. Johannesburg, March 6th 2018: The third annual FORBES WOMAN AFRICA Leading Women Summit (LWS) powered by MTN Business will take place on Thursday March 8th in Rosebank, Johannesburg to celebrate UN International Women’s Day with 120 of South Africa’s most influential women in attendance. This year’s summit is themed: ‘The Trillion Dollar Female Economy’. 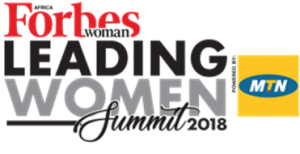 “The Leading Women Summit effectively encapsulates all that FORBES WOMAN AFRICA stands for: feisty fearless women for who success is but a small step towards creating a world where jobs and opportunities exist for everyone; women whose collective might drives business in Africa,” says editor of Forbes Woman Africa, Methil Renuka. Advocate Thuli Madonsela, Dr Rolene Strauss and Vivian Onano are just some of the top-tier contributors on the day, including a panel discussion with C-Suite executives on the role of women in leadership. Additionally, an all-female economists panel will be unpacking the economic outlook for South Africa in 2018 and the role women have to play in growing the economy. The March 2018 FORBES WOMAN AFRICA cover will be the focus of a conversation with editor, Methil Renuka. MTN Business South Africa has supported the event since inception, and has helped grow the event into a formidable one in the month of March for International Women’s Day. 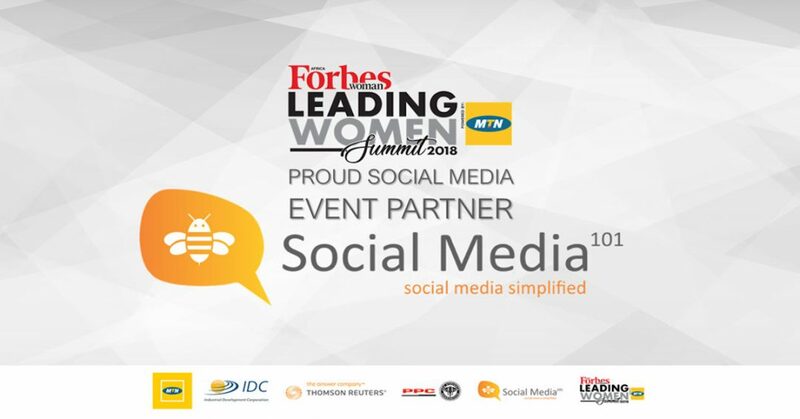 The event welcomes the IDC as an event contributor; strategic partners, PPC and Thomson Reuters as well as Social Media 101, our social media event partner to the 2018 FORBES WOMAN AFRICA Leading Women Summit. The 2018 FORBES WOMAN AFRICA Leading Women Summit is attended by high-profile women within their respected fields of influence. For those who won’t be able to make it into the room, select parts of the event will be streamed live via social media to a larger global audience. The event is proudly executed by ABN Event Productions. 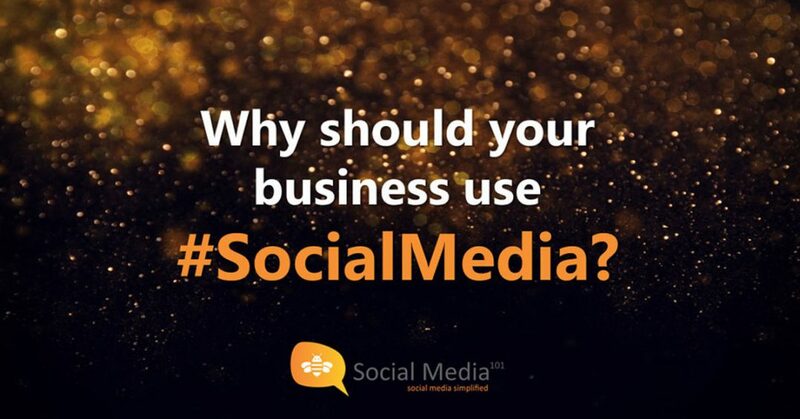 Why should your business use #SocialMedia? 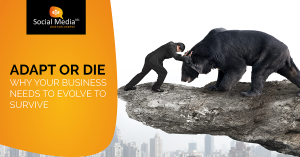 Technology has disrupted the way that we do business. As business owners, you have two choices: either pretend that this doesn’t affect you or secondly embrace it and capitalize from the disruption while your competitors are trying to play catch up. The only thing that we can be certain off is – CHANGE. By embracing technology and in particularly social media you can create a massive competitive advantage for your product or service. What is this ‘advantage’? 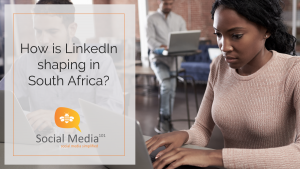 Click here and listen to our Managing Director, Leandri Janse van Vuuren discussing the advantage of using social media for your business. Business used to be done with a firm handshake, which seems long forgotten in today’s tech savvy world. Brands are feeling disconnected from their customers in a bloody ocean of competitors, where everything is determined by price. Have you noticed that customers are too feeling disconnected from the brands that they love and are now craving a more personal and valued interaction? 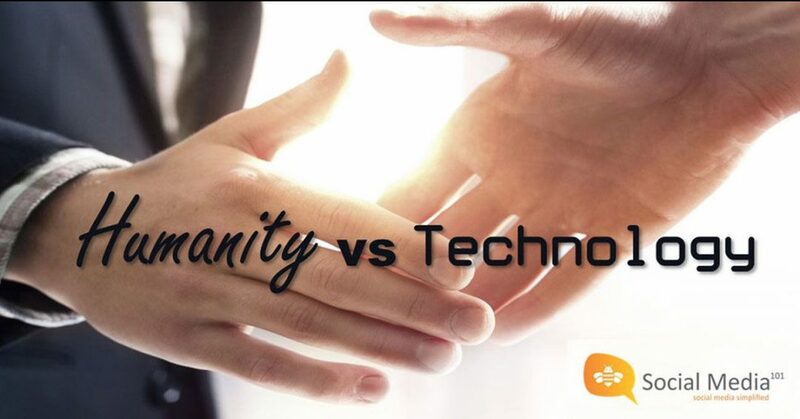 In our ubiquitous market, it is not only about doing technology better, and more about doing humanity more. The bane which seems to be dividing us from our customers may hold the answer to connecting with them. Simply, social media. Let’s revive the firm handshake of business and reconnect with our customers on social media where it is about being social, reconnecting old relationships and sharing value with one another. 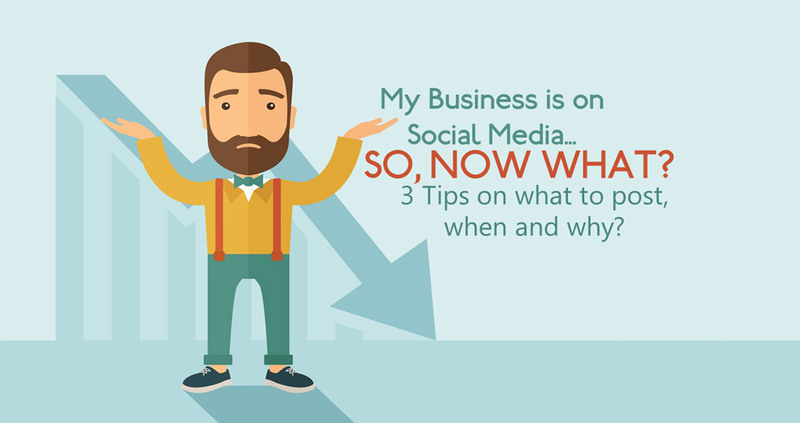 My Business is on Social Media. So, Now What? There is this saying “If you don’t have anything nice to say, then don’t say anything at all.” We can all resonate with this statement but what relevance has this to social media? Your customer is not interested in the day-to-day of your business. We get it, social media is all about just that – being social. Most of us get this with pinpoint accuracy in our personal capacity, but how does this translate for my business? In most cases, companies use the social element of media to share with their customers the daily going on’s in their office – a social and vibey place, right? Realistically thinking though, unless your customer works at your company, there is very little likelihood that they are interested in your staff packing up stock for your next delivery, or your team’s new uniforms or even the golf day for your suppliers which they inevitably weren’t invited to. I think you get my point. It is easy for me to presume that you are an expert at your business with a wide knowledge of your industry. What kind of valuable information could be shared about your product or industry that would ignite interest in your customer, enough for them to think “Ha! That’s interesting, I’m going to hit share.” I know and understand that most of us hold precious the intellectual property that we have so painstakingly gathered over the years, but sometimes, when we have the courage to share this, we give ourselves credibility and also our customers something to talk about. Don’t be the guy (or business) who only talks about them self. We have all been succumbed to that egotistical (I shall refrain from the rest of that statement) person who has no utterance of empathy to their company in even bothering to ask them how their day was. Instead, you are now up to your ears with unnecessary information about them right down to the fact that they have noticed sleeping on 6 000 thread Egyptian cotton is better for their seasonal asthma than 3 000 thread. Social Media is littered with these types. 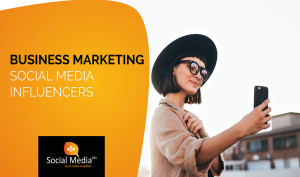 Being a social environment boosted by cost efficiency means that brands have the opportunity to post multiple media messages to wide audiences within a short space of time. The power, which is often overlooked, is that social media enables brands with two-way communication to their customer base. What I notice often from business pages is too much talking about themselves where customers can get easily fatigued by repetitive messaging. This is not to say you should never promote your product via social media, but rather embed a careful balance between product push and value-add. You really don’t have to post every day. Again, I reference back to my opening statement; if what you want to say doesn’t add value, it is better to shelve that thought for when it is more refined into something that must be said. In quoting the classics, communication is two-way and in order to have the other person speak, you need to allow them the space to respond. When brands inundate their followers with overdone one-way communication it becomes inevitable their unlikes hit an all-time high. People don’t unfollow pages because they don’t post, they unfollow pages because they post too much, since it seems they are constantly reminded of the irrelevant content. 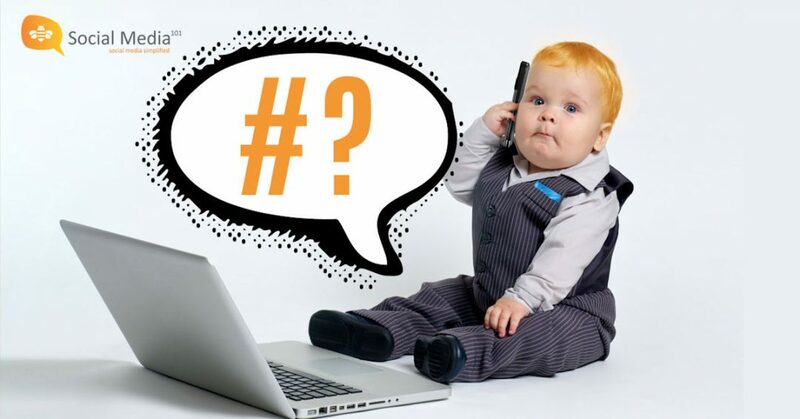 Social media had birthed a disruptive age giving power back to the consumer. Consumers are demanding less clutter and as a result, corporate has countered this disruption by using technology to identify what each user is interested in providing them only with the content they wish to see. Consider this as a consumer yourself, it would be overwhelming to see content from all of your estimated 250 follows plus 50 business pages in a single social media sitting. Be selective, be bespoke, be strategic with your content, and remember the key here is value. In closing, people are so inundated with information thanks to the miracle of the internet. This is both extremely powerful and at the same time can be detrimental. As a result, most of us are starved for value, especially coming out of old era sales and marketing tactics. It’s really about thinking what’s in it for the person on the other side, and if you can’t see the value that you would appreciate, its likely no one else will.